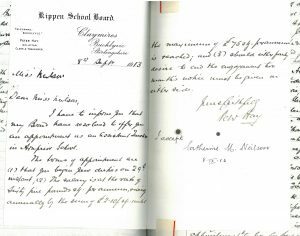 Today’s article for Explore Your Archive 2017 concerns school board and school management committee records. 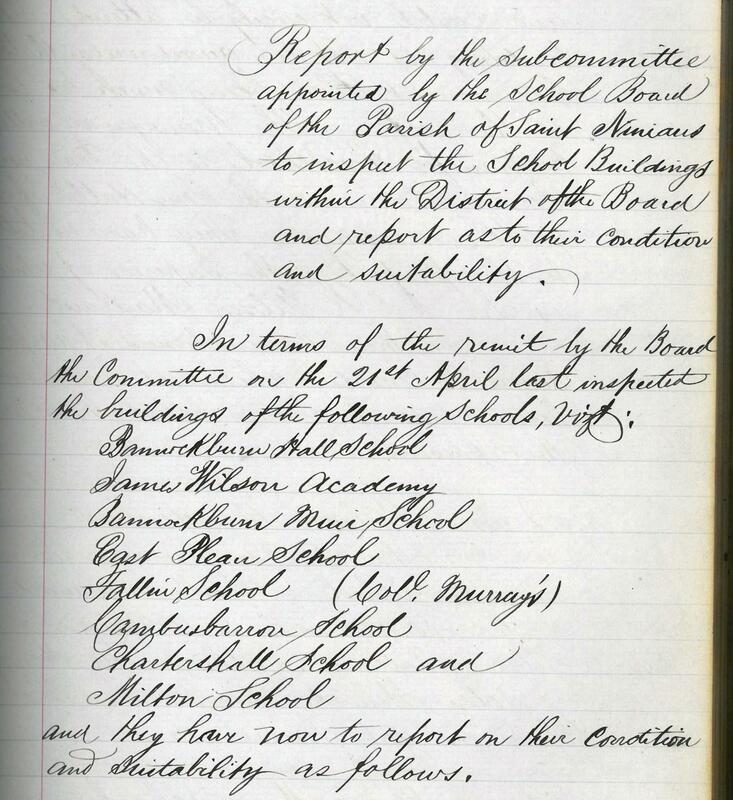 If you are interested in researching the history of local education in a particular area then school board and school management committee records are invaluable. 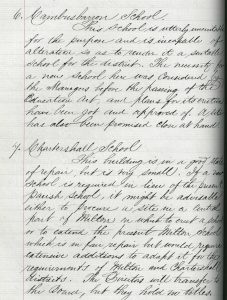 We are only going to focus on school board and school management committee records (1873-1930) but click here for an excellent introduction to schooling in Scotland. One the most important years for education Scotland was 1872. The Education (Scotland) Act 1872 (35 & 36 Vict, c 62) established school boards in Scotland. This was essentially a system where local schools were controlled by elected local authorities. School boards were made of elected members and were responsible for issues such as staffing and the maintenance of schools. Above all they had a statutory duty to provide education for all children between the ages of 5 and 13. This system changed in 1918 when school boards were abolished and replaced with school management committees via the Education (Scotland) Act 1918 (8 & 9 Geo. V, c 48). These were in place until 1930. So what might you find within the records of school boards? Unsurprisingly, the information is mainly administrative. If you look closely however, you may find some surprises. 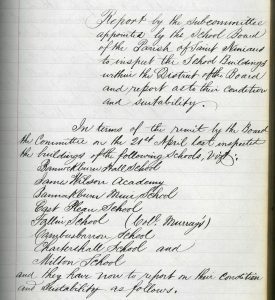 This excellent example comes from the St Ninians Parish school board minute book (SCC/SB/17/1). 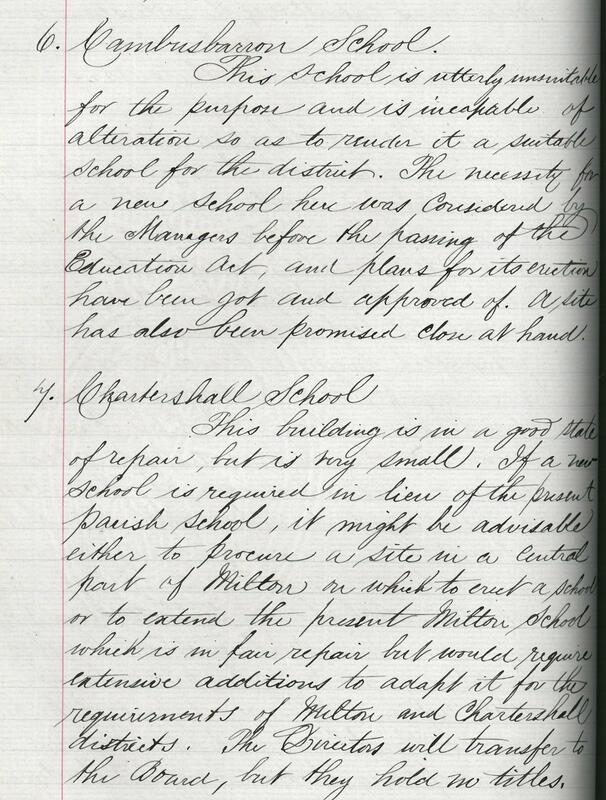 On 21st May 1873, the school board conducted an inspection of buildings for schools in the area. This report provides a great snapshot off all the public schools present within the area. Cambusbarron School, for example, is noted to be ‘utterly unsuitable for the purpose’ whilst Chartershall School is noted to be ‘in a good state of repair but very small’. The appointment of teachers was often noted in school board minutes. This example comes the Kippen School Board minutes (SCC/SB/11/2). 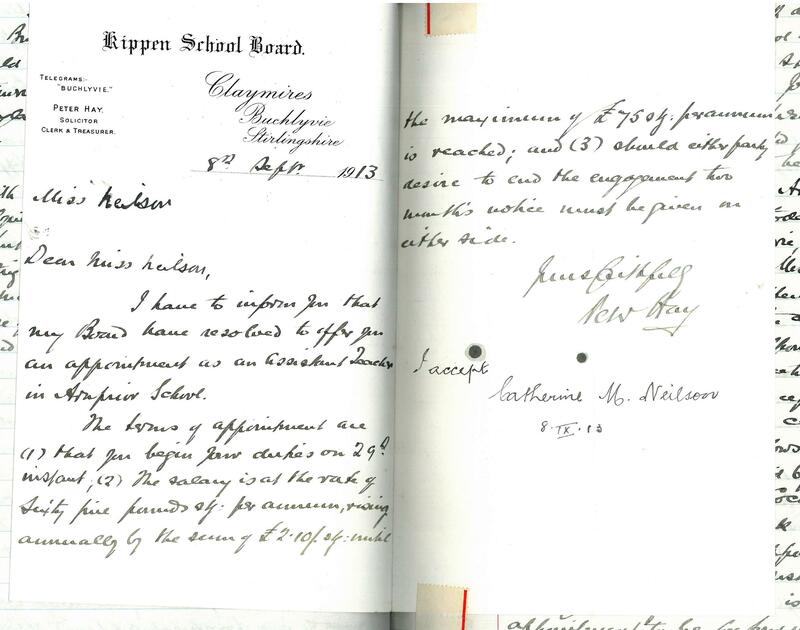 A letter has been inserted inside dated 8th September 1913 offering Catherine Neilson the position of Assistant Teacher at Arnprior School which she accepted. 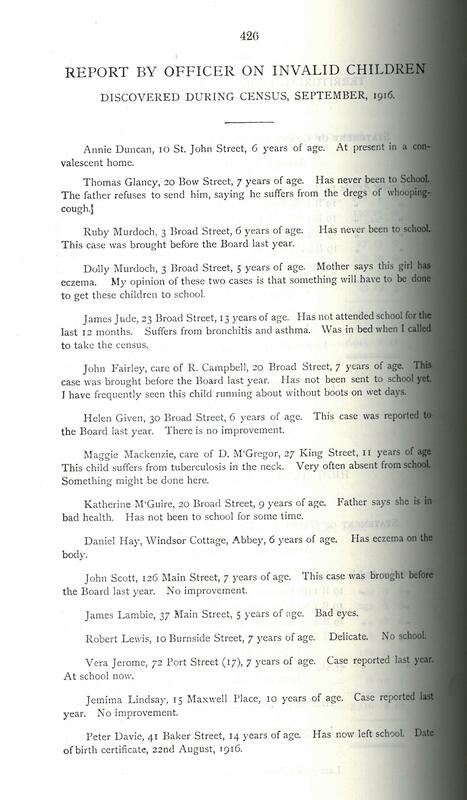 Other unique records include a list of children absent from schools within Stirling Burgh in September 1916. 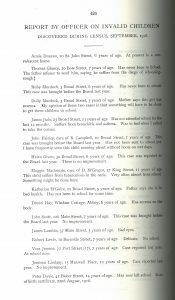 This can be found within the Stirling Burgh School Board minutes (SCC/SB/22/9) and highlights that genealogical information can be found within these records.